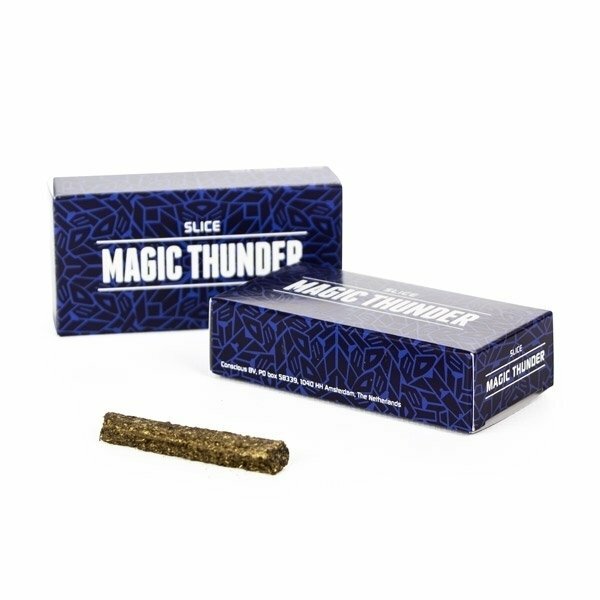 Lo SLICE Magic Thunder contiene una miscela unica di estratti erboristici in grado di sorprendere psiconauti novelli ed esperti. 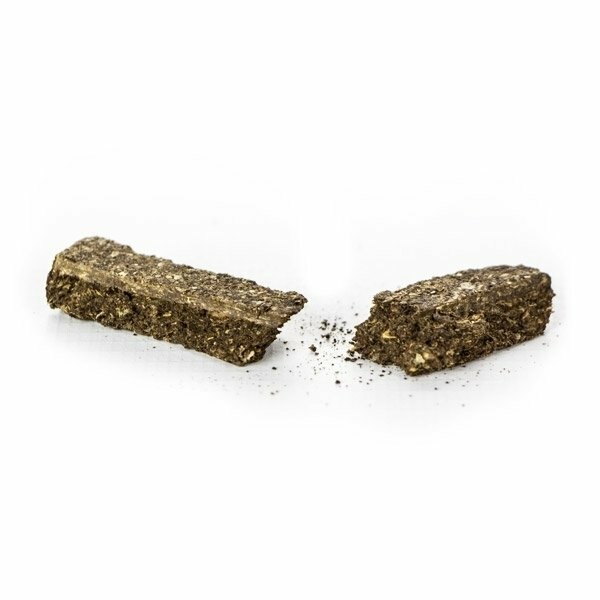 Il Kratom agisce alleviando il viaggio provocato dalla Salvia. 1 grammo è sufficiente per un'esperienza leggera: l'intera barretta vale un'esperienza forte. Ingredienti: Salvia divinorum, Kratom, Canavalia maritima, Olio di Canapa. Contenuto: 3gr. I tried this in the form of tea, via smoking, and eating half a gram, but none of the methods created special effects in my body or mind, except a slight relaxed feeling. I certainly perceived no hallucinations Hachís (Cannabis) has much more effect. If you want to become relaxed, you will find easier ways and cheaper products at the regular drugstore. Ich habe mir einen Tee mit 1,6 g gemacht und beim Trinken lange im Mund behalten, da das Salvia ja nur über die Schleimhäute wirkt. Eine Wirkung habe ich nicht gespürt. Dann nochmals einen Test an einem anderen Tag mit der selben Menge und wieder nichts gespürt. il prodotto è un ottimo coadiuvante per la gestione di crisi da assunzione di altre sostanze parere molto favorevole . estato da me personalmente,e consigliato ad amici con problemi di dipendenza ,che ne hanno trovato giovamento . Wie nimmt man diese ein? To consume, break off a small chunk and dissolve it in hot water. One gram is usually enough for a normal dose, 1.5 grams for a strong dose. You will start feeling its effects about 30 minutes after consumption, lasting for up to 2 to 3 hours. A quiet setting is advised for optimal experience. The more you can focus on the effects, the stronger your experience will be.